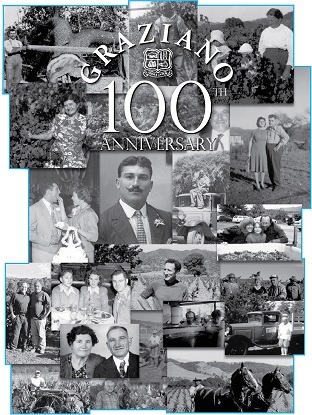 In 1918 Vincenzo Graziano arrived in Mendocino County, after leaving his native village near Asti, Italy in the Piedmont region of Northern Italy. He was able to purchase land in the Calpella Township about 5 miles north of Ukiah. Vincenzo quickly cleared land and set aside a portion of it as vineyard. Later he planted Carignane and other varietals that were popular at the time. The wine in this bottling is entirely from vines that Vincenzo planted. Later he donated land for the Calpella school, and only a couple of years before he passed, Vincenzo was eminent domained due to the freeway extension of Highway 101. He was able to move one of his two homes on the property and continue to farm until he passed in 1962.